So I decided to spend five weeks in Jamaica. Why Jamaica? There’s little information out there for backpackers so here's my two cents on how to get the best from your time on this amazing island. Sorry if you found Rick upsetting, I confess he’s something of a hero - driving past Hedonism II was a special moment. 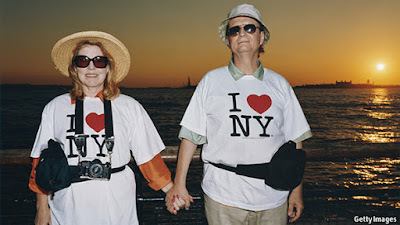 Love him though I do; he’s emblematic of the 'Resort Tourism' that thrives here. Other touristic hot-spots Ocho Rios and Montego Bay dock on the daily with some of the world’s largest cruise ships...offloading thousands of half-day visitors - fanny-packed and sun-lotion-smeared with dollars to burn. These (largely American) tourists ride the 'Jamaican Resort Theme Park'... Bob Marley souvenirs, Jerk Chicken and Red Stripes served by minimum-wage workers; well trained to smile wide and reassure that ‘Jamaica no problem, mon’...a popular phrase reserved for tourists. But Jamaica does have serious problems- in fact the saying has a particular irony amongst natives who feel that life is only problems for them. Estimates put 20% of the population below the poverty line, with stagnant economic growth and expensive imported food/fuel ensuring a hand-to-mouth existence for many...compounded by high youth unemployment (30%) which fuels gang violence, most notoriously in and around Kingston. And so Jamaica can be seen as two countries to explore- the artificial, Americanised bubbles of Resort Jamaica...and the rest of the country- Real Jamaica. Understanding this duality is central to making the most of your time on the island. For instance, the national currency is the Jamaican Dollar, but in Resort Jamaica US$ are mostly spent by tourists...often paying inflated sums. And so the worst thing about backpacking Resort Jamaica (aside from the added expense and inauthenticity) is how every other Jamaican (man) is on the hustle. As a backpacker, I’m ever on the lookout to make new friends, but being seen as a cash cow to be milked limits my chances. Therefore I advise you to minimise your time in Resort Jamaica. If not Resort Jamaica then WHERE? Hands down the best place in Jamaica. Amazing food, paradise beaches and friendly locals. I reccomend Porty Hostel run by Stefano, a lovely Italian guy who set up shop here a couple of years ago. If you have two weeks in Jamaica enjoy a week here along the east coast. I only spent a day in this sacred mountain range, touring a coffee plantation. Next time I'll trek the peak via the famous guesthouse Whitfield Hall. A little expensive, but totally worth it from what I hear. Stay with Syl Gordon at his Dancehall Hostel, where international dance students come to learn and party with Jamaica’s most talented. Take a private lesson and then join the entourage to hit up Kingston’s livest sound systems - 7 nights a week. You will see some things. 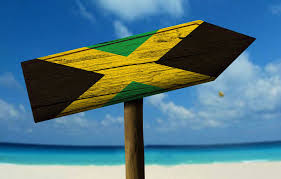 # You will never be as cool as a Jamaican...but at least you can try....learn the thumb-click handshake...at all times be ready to declare ‘Respect’ ‘Bless up’ ‘One love’ or ‘Wagawan’ ...and never, ever be in a rush. # Never charter a private taxi...master the local ‘Route Taxi’ transportation ASAP. It’s a fraction of the price and a great service. Tourists can pay $40 for a journey that costs $1 for those in the know. # Use mosquito repellent; nothing chilled about a Jamaican mosquito -they’re big, fast and hungry! # Use sunscreen - the sun is serious here - I’ve seen some terrible lobster-red burns! # Cannabis is decriminalised, ubiquitous and dirt cheap. If you partake it's 150JD ($1) for a few joints’ worth or 500JD for a decent bag of 5 grams or so. So I'm told.